On the corner of Worth Street and North Prairie Avenue in East Dallas sits a small, tan-colored building that the average person would drive past and think nothing of. But inside is a group of over 150 kids that are discovering their true potential, pursuing their passions and dreaming big. The Boys & Girls Club of East Dallas is one of 18 Dallas locations across the Metroplex. The East Dallas location serves around 150 kids, all 18 locations combined serve roughly 1,600 kids on a daily basis and over 5,500 club members benefit from the programs and services. From 7:00 a.m. to 9:00 a.m., parents and guardians drop their kids off over the summer. Children ages six to 18 receive strong moral guidance, positive role models and life-changing educational programs at the Boys & Girls Club. The kids are also fed two hot meals a day and take part in numerous field trips across North Texas. 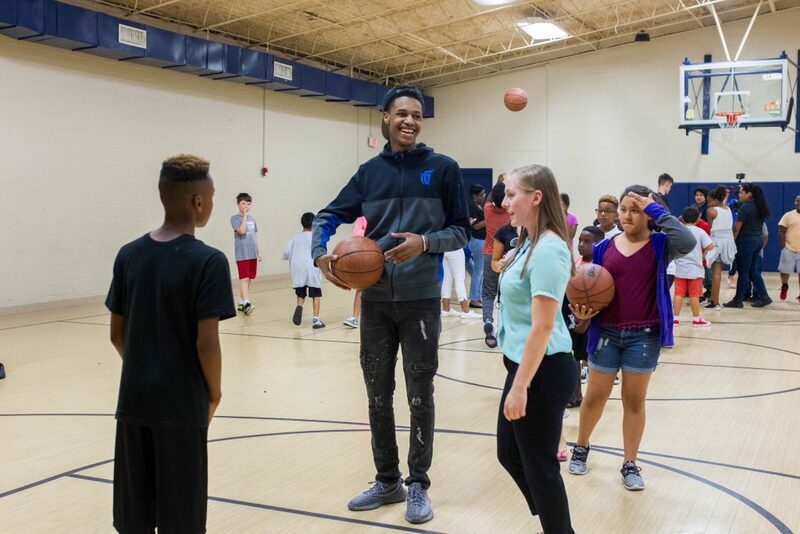 The relationship between the Dallas Mavericks and the Boys & Girls Club dates back many years. But recently, Harrison and Brittany Barnes have taken on a more active role. On Wednesday, the Boys and Girls Club were introduced to more members of the Mavericks family as the Mavs Gaming team visited the East Dallas campus to talk about their careers in the eSports industry and spend time with the kids. For a generation that is growing up with video games more popular than ever, the eSports industry gives them a dream that previous generations never had. For some members of the Mavs Gaming team, they remember growing up in a world where video games were looked down upon and viewed in a negative manner. With all of the kids packed into a gymnasium, the Mavs Gaming team took the court and introduced themselves, talked about their backgrounds and answered questions from the crowd. For a team that’s coming off two consecutive losses, this week is important as they head into another tournament with a $150,000 prize pool. After the introductions and questions, then came the fun as the kids were split up into two groups. Around half of the kids stayed in the gym to play basketball and other games while the other half hit the video game consoles to play against the pros. Seem, JLB, HazzaUK2K and Devillon spent time in the gym with the kids while Dayfri and Dimez took to the controllers to show the kids just how good you have to be to be a professional. Set up on two big screens, kids took turns playing head-to-head with the top two draft picks for the Mavs. 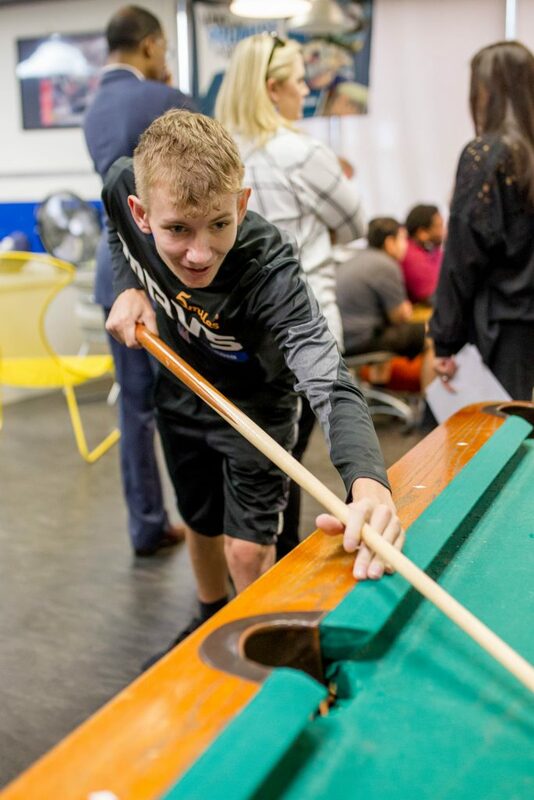 Some of the kids took their opportunity as a chance to talk trash to the Mavs Gaming team, which brought a different type of fun to the whole event. “Just talking a little trash. They were talking trash to me so I had to fire back,” Dimez said as we both shared a laugh. A junior in the program, who goes by D.J., couldn’t back up his trash talking to the No. 1 overall pick, but said he’d be ready for the rematch. “It was awesome. If he comes back next year, I am ready,” D.J. said. Christian Higgins, an eight grader at Benjamin Franklin Middle School, had the opportunity to face off against both Dayfri and Dimez. Although it was technically a break from a busy week for Mavs Gaming, Dimez didn’t view it that way. In fact, if it were up to him, he would still be there investing time into each and every kid. For Dimez specifically, he wanted the kids to see firsthand that your dreams and passions in life can come true. That in life, anything is possible. Decked out in their new Mavs Gaming gear, the kids took time to wish the players well and thank them for the time and gear. As for the impact the visit had on the kids, Shallenberger said the buzz around Mavs Gaming isn’t going away anytime soon.